Dobby gets a present from Caplin! 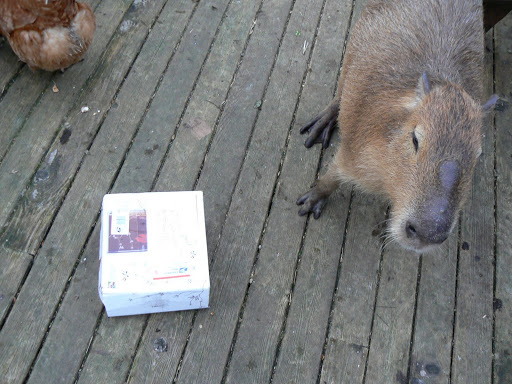 I had my first birthday and Caplin Rous, my big brother (and The World’s Most Famous Capybara) sent me a present! I guess a present is a box. I have one of those already. This box isn’t empty like my other boxes, though. 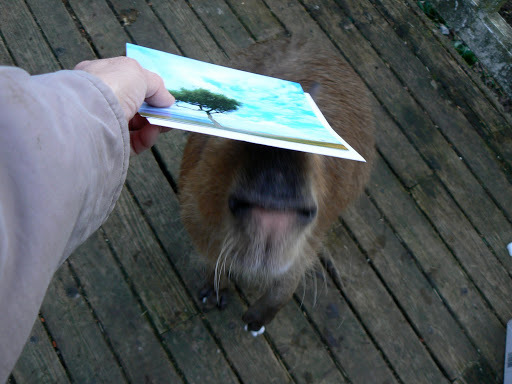 There was a card inside so I put it on my nose to see if I like it, and I do! There was a box inside the box so I had to put that on my nose, too! It is good with the card on my nose and the box on the card. It’s so good I just might stand up a little bit. Now wait just a minute! Something is sticking to my feet! What are these things? Are they food, did Caplin send me food? I like the box better. Yes, the box is very good! Thank you, Caplin! I like it! What was the food? 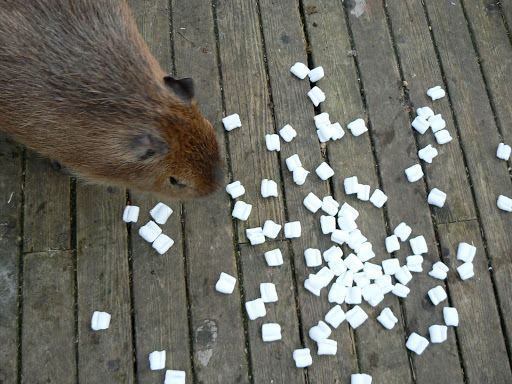 A special Capybara treat? What was it made of? 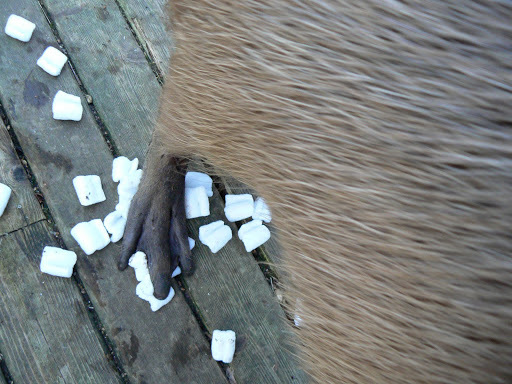 Those are packing "peanuts", the biodegradable kind that break down in moisture. Like on aquatic rodent feet!